New York Times columnist Tom Friedman is giving Al Gore a run for his money in the Green Hypocrisy Derby. …stimulate more investment in renewable energy now; … stimulate more consumer demand for the energy-efficient vehicles that the reborn General Motors and Chrysler are supposed to make; and,… reduce our oil imports in a way that would surely affect the global price and weaken every petro-dictator. The ever-compassionate aFraidman would allow rebates to the poor and elderly — as if such a rebate would somehow magically immunize these vulnerable groups from the higher costs the rest of us would pay and that would ripple throughout the economy. A year ago, $4-gas was choking Meals-on-Wheels services to the elderly and disabled around the country. Since we use about 385 million gallons of gas per day, aFraidman’s “Freedom Tax” would collect about $140 billion per year — which would then be wasted on government-directed energy technology boondoggles. Remember U.S. Synfuels Corp.? And as to being subject to the whims of petro-dictators, about 44 percent of our oil supply comes from OPEC members. So would you rather have 44 percent of our oil supply controlled by foreign petro-dictators or 100 percent of our oil supply controlled by domestic green-dictators? The petro-dictators must sell their oil — if they want to stay in power. The greens don’t want us using any oil at all, regardless of source. Also, as aFraidman’s Freedom Tax would take American’s out of their cars — a technology that has allowed Americans unprecedented freedom of mobility for more than 100 years — it would actually make us less free. Finally, Friedman, who authored the 2008 alarmist book Hot, Flat and Crowded, is married to a woman (Ann Bucksbaum) who is an heiress to a real estate and shopping mall fortune that was worth $3.2 billion in mid-2008. 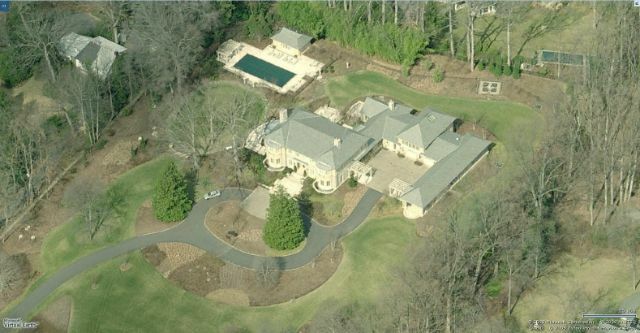 Although the family fortune was reduced by mismanagement and debt to a mere $116 million by December 2008, you can bet that Friedman’s $9.3 million, 11,400 square-foot home on 7.5 acres in the tony Washington, D.C. suburb of Bethesda, Md is neither hot, flat, nor crowded. Click here to join the Green Hell Blog E-mail List! 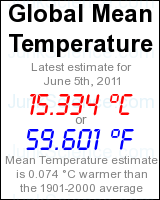 This entry was posted on	June 24, 2009 at 10:18 am	and is filed under Cost of Green. $4 Gasoline will have about the same effect on the environment and overall security as the self emmulation of Buddahist Monks had on the outcome of the Vietnam War. If Friedman had been an advisor to the US during WWII, he would have probably suggested burning California, Oregon and the state of Washington as a scorched earth policy of retreat right after the attack on Pearl Harbor. This is what happens when you go to too many Sierra Club Meetings. if this woman would marry Friedman and she is worth billions could I maybe spend the weekend for 100 grand??? $140billion to spend on what? Morons like Friedman think that with enough money technologies will fall out of the heavens(even though they don’t believe in God). A twenty year old report that said solar and wind would never account for more than 5% of our energy needs is still valid. Maybe we can attach a sail to each car. Eventually, our scientific community, given their freedom, will develop replacement technologies for carbon based energy. In the meantime, we should be developing the natural resources available to us instead of giving in to left wing environmental wackos who force us to remain dependent on foreign fuel. Them be just for the enviro-fools, the useful idiots, the suckers. Please do not consider me to be one of them. where are all the solar panels??? My house would fit in theirs 4 times over and still have room for a 4 car garage (at least). Hell, Tom’s garage might be bigger than my minor manse in not-so-tony-as-Bethesda Rockville. A New York Times columnist a hypocrite? Surely not. What can you be thinking? After all: “All the ‘news’ that fits we print.” He is simply living the way the elite intend to live after all the rest of us are reduced to living in tents. And since they are the elite, self appointed, of course, this is their absolute, unquestioned right to live this way, again, though the rest of us have to live in tents, caves, and return to being hunter-gatherers (which will probably be made illegal; poaching the “kings'” deer, what?) in order just to survive. A POX UPON THEM ALL! !